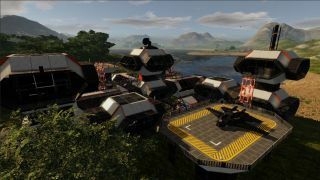 Galactic survival game Empyrion, which has been in Early Access since 2015, has been something of a panacea for those disappointed by No Man’s Sky. This week, on June 7, the alpha 6.0 update will go live, introducing a slew of new features and improvements based on player feedback. “After having worked for months on content, new features, lots of game changers, thousands of feedback posts and reports, the release of the public version of Alpha 6.0 is now only a matter of days,” developer Eleon Game Studios announced last week. Check out all the new stuff in the 6.0 launch trailer.